As previously discussed, faced with substantial budget cuts, the Internal Revenue Service (“IRS”) has announced that it is eliminating most determination letters (letters concerning the qualified status of retirement plans, which gives rise to numerous tax benefits), effective December 31, 2016. (Announcement 2015-19.) 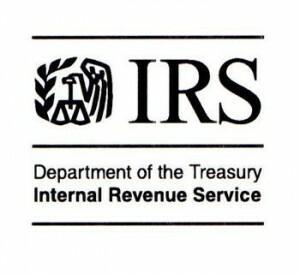 In the past, individually designed retirement plans were able to obtain a determination letter once every five years, during a cycle provided by the IRS. The most likely new regime will involve making determination letters on individually designed plans available only when a plan is first adopted, or when it is terminated. Between those dates, the only way to ensure qualification other than filing a declaratory judgment action with the Tax Court is likely to be to adopt annual updates put out by the IRS that will include model wording for amendments. For entities that maintain a retirement plan, the new regime may mean that they discover qualification issues only on audit, when it is too late to fix the issue. And the potential penalties on audit (for the employer, the trust under the plan, and the employees) are, as set forth in a prior article, huge. What steps should a plan administrator take to ensure the qualification of a plan after that point? Such employers are subject to very different regulation than plans of private employers. Thus, most prototype plans (i.e., standardized plans used by numerous employers) do not fit their special circumstances. They are far more likely than private employers to have defined benefit plans. In part, this is because defined contribution benefits are typically paid out as a lump sum, which retirees may spend during early retirement, rather than an annual benefit for life. Since governmental entities are typically responsible for welfare benefits for those employees who become destitute in their old age, they have an incentive to avoid such situations. Many governmental plans are already facing a financial crisis. The annual cost of a defined benefit plan can fluctuate wildly depending on projected future earnings. Tightened budges have made it a priority to fix this issue, yet as discussed above, they may have lesser ability to make changes with respect to existing employees. New types of retirement plans may need to be developed to deal with the financial crisis. For example, we may see more hybrid defined contribution/defined benefit plans, such as a plan that provides for variable defined benefits based on the contributions made plus earnings thereon, but which does not provide for individual accounts. Or a defined contribution plan could be structured to pay a benefit for life rather than paying out the whole benefit at retirement. The need to make substantial changes in plans means that it will be impractical not to amend plans more extensively than just the annual model amendments. Such amendments will make it less likely that they can rely in the future on any determination letters obtained before 2017. In most instances, it is far more difficult to modify a governmental plan than a private plan. Constitutional restrictions in the majority of states preclude modifying a benefit with respect to existing employees in any way that is unfavorable to any existing employee without that employee’s consent. As a result, conversion to a defined contribution plan can typically done only with respect to new employees, or those who consent to a change in benefits. Plans can often be modified only by state legislative action. In the past, many governmental plans were updated only once every five years in connection with their determination letter requests. It appears likely that plans will now have to be updated annually. Governmental plans often continue for decades, while private plans are more often of relatively recent vintage. The more years a plan is in existence, the more likely it is that the plan will be modified from that on which a determination letter was originally obtained. It will be even more critical than before to consult with an attorney before making any substantial changes to a plan, if IRS assurances as to its continuing qualified status are unavailable. For existing plans which did not obtain a determination letter during the period February 1, 2013 to January 31, 2014, it is critical to apply for a determination letter before the current cycle ends (January 31, 2016). This will at least ensure that the plan as it exists now is qualified. Where possible, a legislature should consider delegating to the plan administrator (typically a board of trustees) the right to make annual changes to the plan by regulation to comply with IRS requirements. This will help to ensure that amendments are not missed due to the legislature not meeting every year, or due to the press of legislative business preventing the adoption of the necessary amendments. When substantial changes are to be made to the plan (typically, for new employees), consideration should be given to adopting a whole new plan (on which a determination letter could be obtained), rather than amending the existing plan to create a new benefit structure. Plans adopting novel benefit structures may seek private letter rulings dealing with the new benefit structure. A private letter ruling, unlike a determination letter, does not deal with the overall qualification of a plan, but only with whether the benefit structure is permissible. And the usual IRS policy is not to issue a private letter ruling at all on qualification issues. However, it has shown some willingness to bend that policy in instances in which a new benefit structure is so novel that existing IRS guidance does not cover it. For new plans, we can expect to see more prototype plans specifically tailored to governmental employers. In the past, such entities often preferred individually designed plans, so few prototypes were developed that would cover them. However, the demand for individually designed governmental and church plans is likely to expand, leading to more such plans being developed. We can expect that more new plans, at least for small governmental employers, will be defined contribution plans rather than defined benefit plans, because prototypes for defined contribution plans are more commonly available than ones for defined benefit plans. Outside of the governmental context, we are likely to see more rapid changes. Private employers typically have much more leeway than governmental employers to change their plans’ going forward, even with respect to existing employees, although they may not cut back on existing benefits. They also do not have to seek the approval of a legislature to make changes. For small plans (particularly those in a nonunionized environment), a prototype plan has long been the retirement plan of choice. This will become even more true after 2016, as the IRS will still issue prototype plans. Due to more extensive regulation and cost issues, defined benefit plans (ones in which benefits are stated in the plan) have been gradually becoming less common, while defined contribution plans (ones like 401(k) plans, in which benefits are based on an individual account consisting of the contributions made plus earnings) have become more common. We can expect this trend to accelerate, since defined benefit plans tend to be more complicated and less able to be incorporated into prototypes. For those large employers that can still obtain a determination letter (those with employer identification numbers ending in 0, 1, 5 or 6), it is critical that a determination letter be obtained in the current cycle. (January 31, 2016 for EINs ending in 5 or 0; December 31 2016 for EINs ending in 6 or 1.) For all other employers, and for multiemployer plans, it is now too late to obtain a new determination letter. Thus, such plans should already be taking steps to ensure that the plans remain qualified after the change. Many of the steps to be taken will parallel those taken by governmental plans, but with some differences. In the case of a unionized plan (single employer or multiemployer), consideration should be given in the next bargaining cycle to attempting to obtain union consent to the trustees making limited amendments to the plan each year to comply with new IRS requirements. In the event of a corporate acquisition or merger, it will become critical to obtain ironclad assurances from the seller that all retirement plans are qualified. If the seller is ceasing to exist or otherwise is not in a position to reimburse any damages incurred due to a disqualification of the plan, the buyer’s counsel will need to asses carefully the potential exposure. In some instances, it may make sense to have old plans terminated before the merger or acquisition. In the past, many employers and plans have relied on IRS determination letters to ensure that their plans are qualified. Under the new regime, it will be critical to make any changes to a plan more carefully, and to consult competent professionals to ensure that the changes do not disqualify the plan.